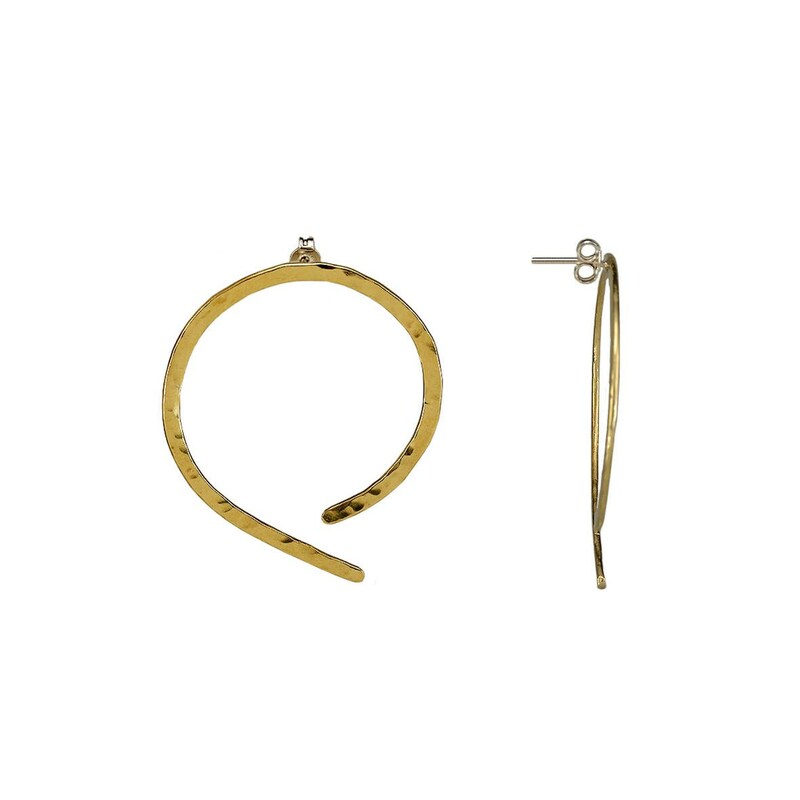 Thin large stud brass hoops with sterling silver posts and clasps. 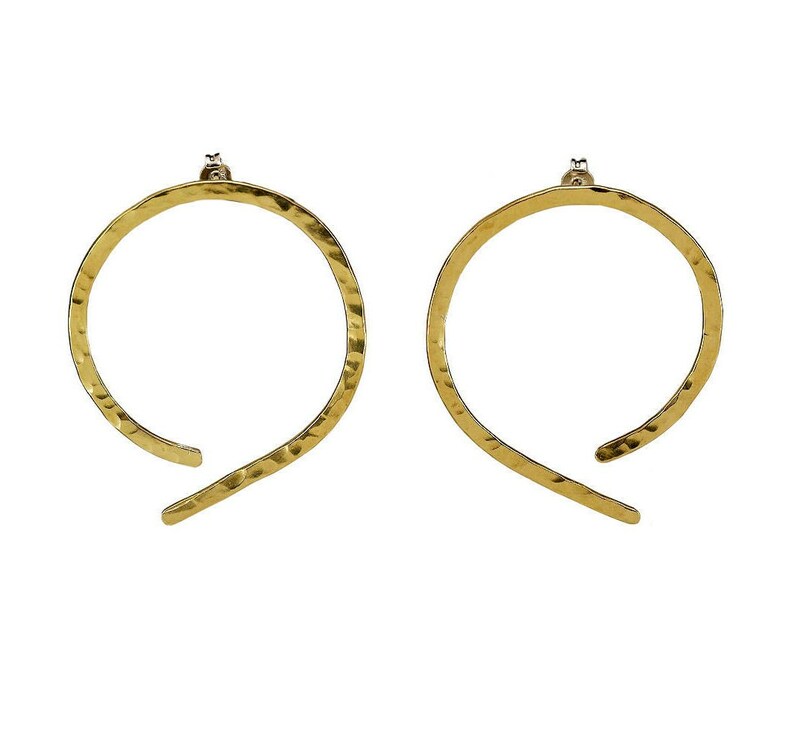 If you are looking for gold or silver plain open hammered hoop earrings, these contemporary hoops from our minimal jewelry collection are a great choice. 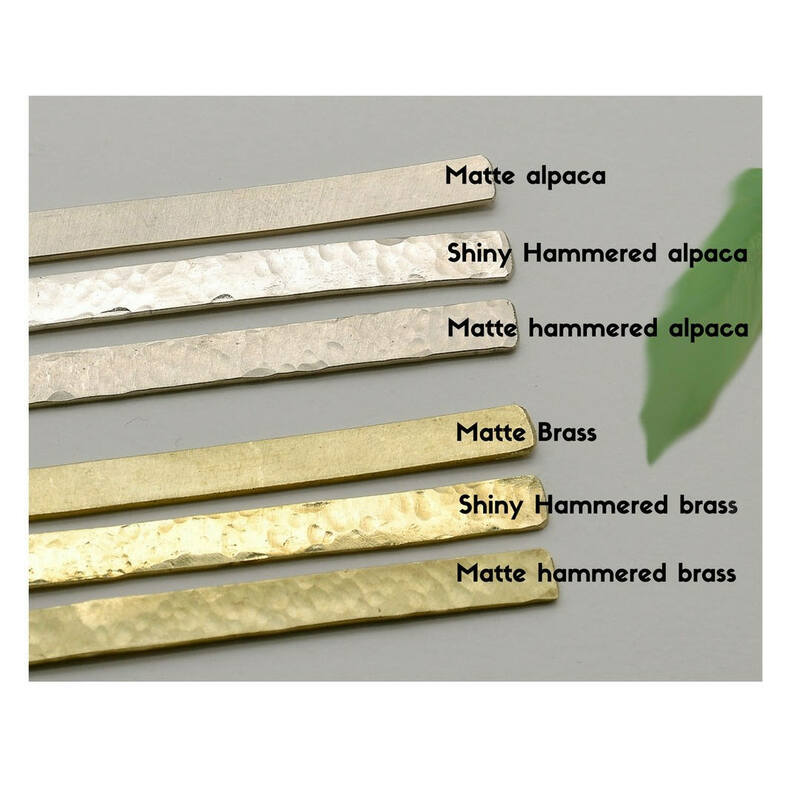 Designed to be simple , cut and hammered by hand. 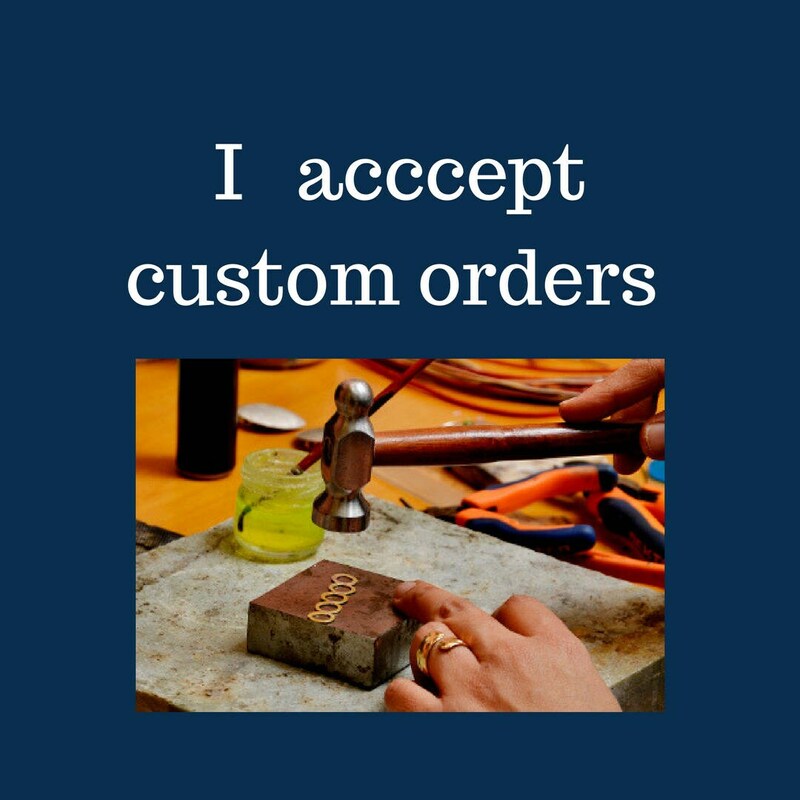 Initially, I planned to solely purchase the other earrings I reviewed because those are the earrings I had been searching for. 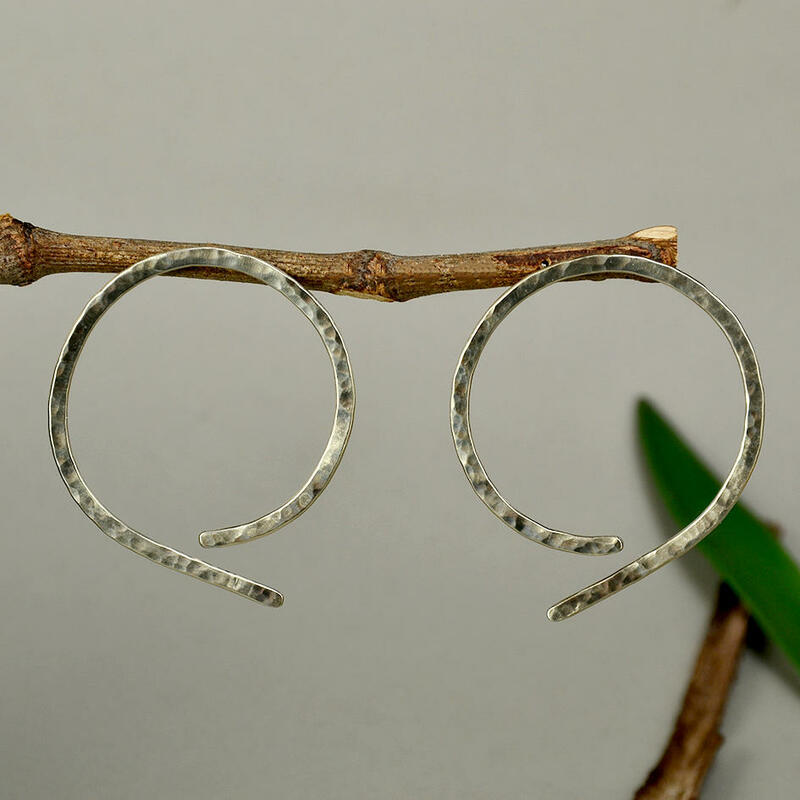 But, after spotting these unique hoops, I decided to add these into my cart as well and I am SO happy I did. 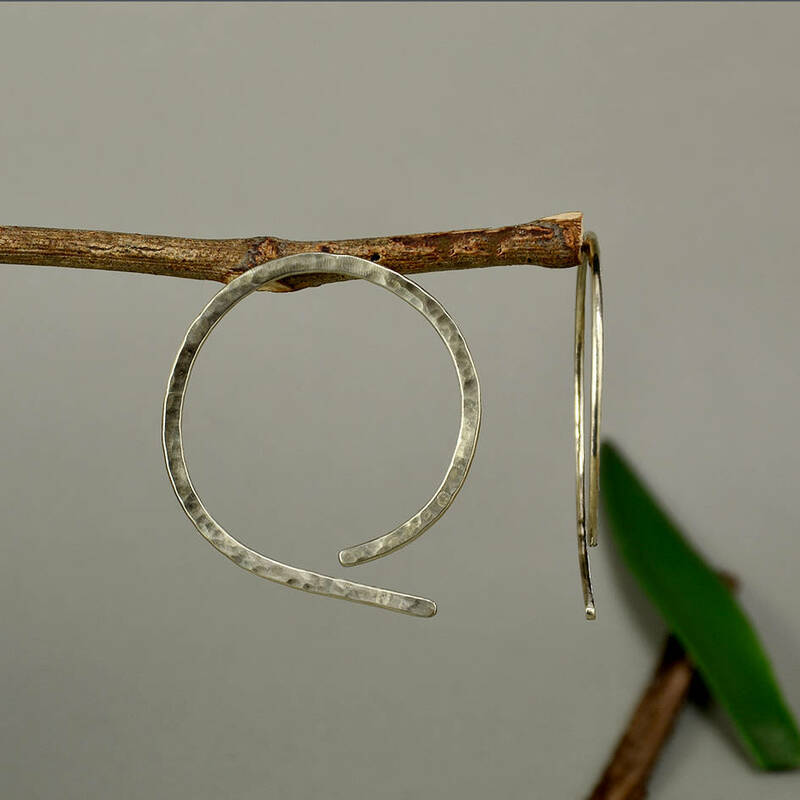 They are a beautiful twist to traditional hoop earrings. They're great everyday earrings - very light and comfortable to wear consistently. 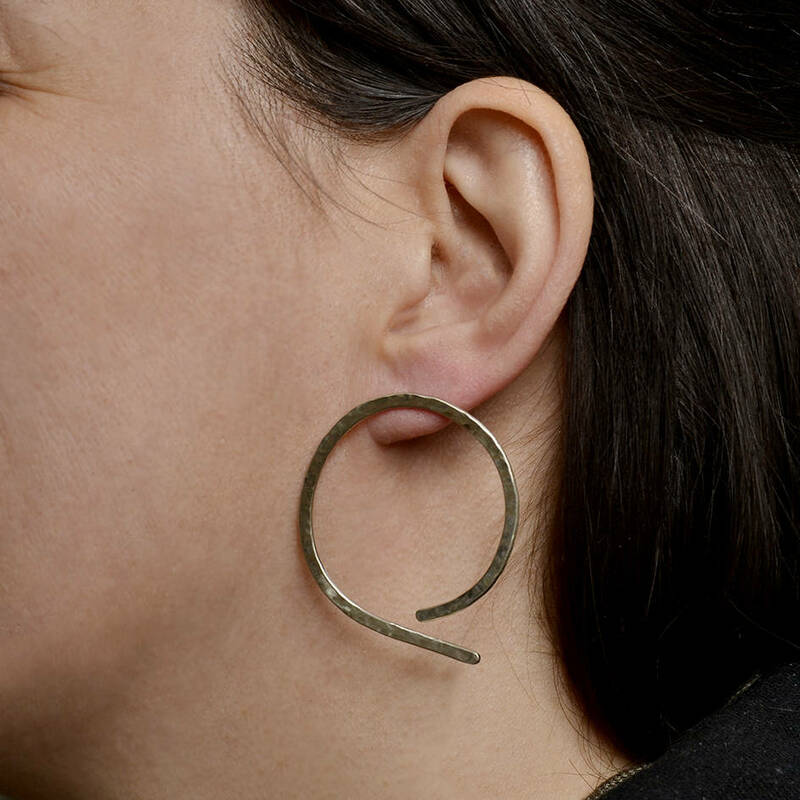 In fact, I've been wearing these earrings almost every time I've gone outside since I've received them. Very happy customer! Thank-you!